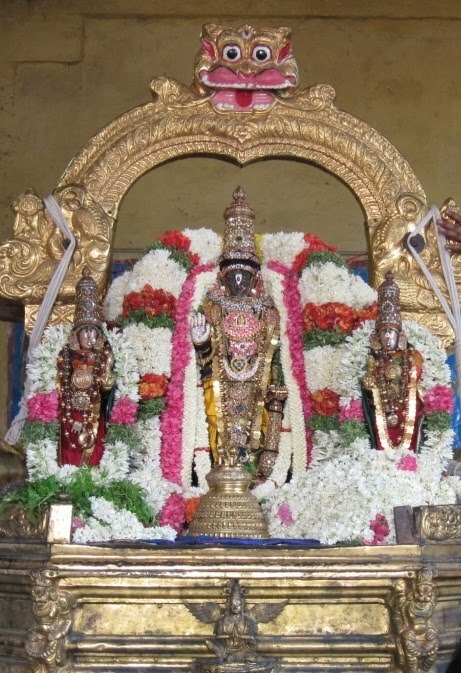 The famous temple of Sri Parthasarathi Swami is resplendent with the festivals and most important of them is the Brahmothsavam which starts on the Chithirai Thirunakshathiram of the month of Chithirai. 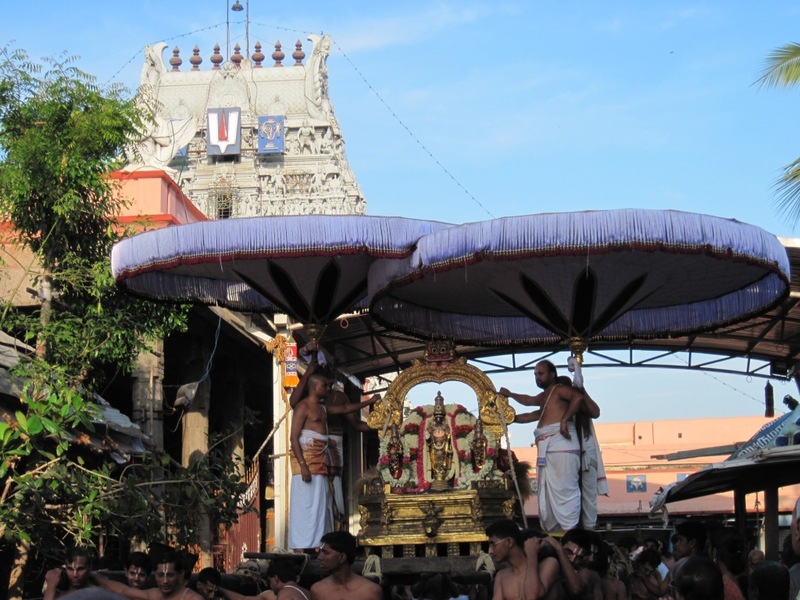 The Theerthavari festival would take place on the 9th day on the Thiruvonam thirunakshithiram. 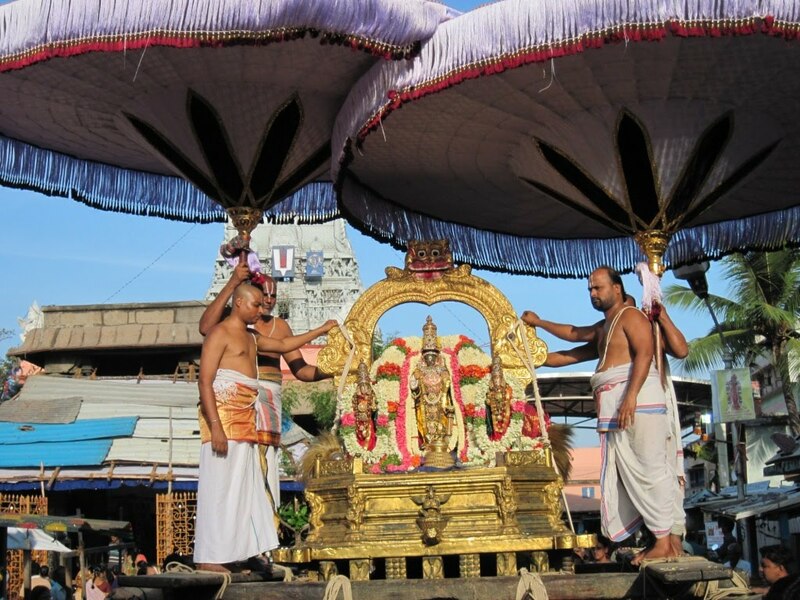 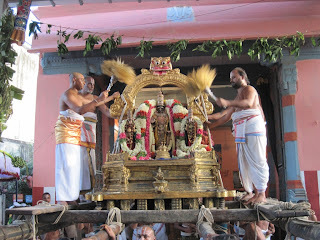 In the divine place of the Lord – Thiruvallikkeni, the Brahmothsavam commenced today [Monday, the 18th April 2011]. Here are some photos taken during the morning purappadu today. 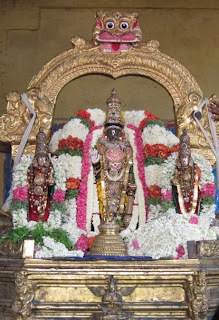 25th Apr 2011 : Mon : 0800 pm : Kuthirai vahanam.